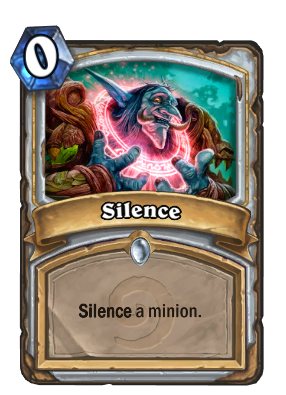 This card is doing just fine in this meta: great synergy with Wild Pyromancer and this is basically draw a random card iwth Lyra the Sunshard (ofcourse if you cast the spell on another minion), (silence + shadow of death => 3 mana fck tirion) and debuffs high value minions in those freaking pally decks. grandpa why do put this card is your deck ? Combine it with wild pyromancer and you are good to go! Did you make these? If yes, can you share?